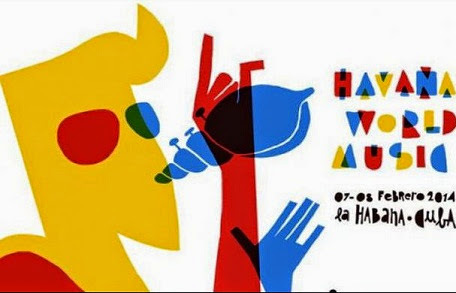 The Havana World Music Festival 2015 will be held on the 6th and 7th of this month in Havana, where it will feature artists from America, Europe and Africa in order to promote integration, diversity and alternative genres. The director of the musical event, Cuban singer Eme Alfonso said the second edition of the festival will perform several French and Francophone musicians such as Philippe Cohen Solal DJ, one of the founders of the trio Gotan Project, who will offer including a recital of electronics and bass tropical Latin music. He also announced the musician Franco-Moroccan Aziz and his group Sahmaoui University of Gnawa, the French singer and composer David Walters and the Mexican Institute of Sound Mexican group, headed Camilo Lara, considered one of the references of alternative Latin music. Alfonso explained that the aim of the festival is to offer the young audience "new sounds from different cultural backgrounds" and seek to make it a platform for the dissemination of alternative music outside the channels of commerce. The young artist used to present the "WOW" (Women of the World), an initiative, said, intended to highlight the creative talents of women of different nationalities, project and promote cultural diversity through music. In this context the presentations of the performers Mélissa Laveaux, Canada, and Norway Ellen Andrea, while in Spain is due the group's performance Muchachito Bombo Infierno, with its fusion of flamenco, funk and rock are included. At its headquarters in the Havana park Almendares, Havana World Music also bring together musicians from the island as songwriters Raul Paz and Tony Avila, pianist Roberto Fonseca and salsa Isaac Delgado, among others. In the days of concerts, the program also includes dedicated to mural paintings, the "body art", the graffiti and various forms of dance spaces.